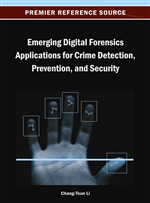 The vitality detection of fingerprints is currently acknowledged as a serious issue for personal identity verification systems. This problem, raised some years ago, is related to the fact that the 3d shape pattern of a fingerprint can be reproduced using artificial materials. An image quite similar to that of true, alive, fingerprint, is derived if such “fake fingers” are submitted to an electronic scanner. Since introducing hardware dedicated to liveness detection in scanners is expensive, software-based solutions, based on image processing algorithms, have been proposed as alternative. So far, proposed approaches are based on features exploiting characteristics of a live finger (e.g., finger perspiration). Such features can be named live-based, or vitality-based features. In this paper, the authors propose and motivate the use of a novel kind of features exploiting characteristics noticed in the reproduction of fake fingers, that they named fake-based features. Then the authors propose a possibile implementation of this kind of features based on the power spectrum of the fingerprint image. The proposal is compared and integrated with several live-based features at the state-of-the-art, and shows very good liveness detection performances. Experiments are carried out on a data set much larger than commonly adopted ones, containing images from three different optical sensors. The robustness of a fingerprint verification system under fraudulent attempts through fake fingers is an important issue. In fact, Matsumoto et al. (2002) and Sandstrom (2005) showed that many fingerprint sensors can be deceived by submitting a “gummy” finger. Acquired image is processed as well as a “genuine” image. In order to prevent these fraudulent attempts, some solutions have been proposed. The majority of them is based on the use of hardware, embedded in the sensor, which can detect the vitality, or liveness, of the finger, e.g., through a blood pressure measurement. Another class of approaches is based on the extraction of features which can discriminate between live and fake fingerprints by processing images acquired by the sensor. These software- based solutions are obviously less intrusive and cheaper than the hardware-based ones. Recently, two integrated systems (hardware and software methods) have been proposed (Russo, 2007; Diaz-Santana & Parziale, 2006). According to Coli et al. (2007a), the majority of approaches are aimed to characterize physiological features of the skin by image processing algorithms, e.g., physiological features such as the perspiration (Derakshani et al., 2003; Parthasaradhi et al., 2005; Marcialis et al., 2010), and the elastic deformation of fingerprints (Antonelli et al., 2008; Chen & Jain, 2005). Morphological algorithms and wavelet transformations are employed to this aim (Coli et al., 2008, Moon et al., 2005; Tan & Schuckers, 2006, 2008; Abhyankar & Schuckers, 2006; Drahansky & Lodrova, 2008; Yau et al., 2007; Choi et al., 2007). These features are related to characteristics of live fingers which can be detected by image processing. In the following, we will refer to them as vitality-based features (or live-based features). It is worth noting that no work so far paid attention to features based on fake finger characteristics (in the following, fake-based features). However, a visual analysis of two example images (Figure 1) may help in detecting some differences among images obtained from live and fake fingers. In particular, Figure 1 shows in the left side a live fingerprint image, whilst the correspondent fake fingerprint image is shown in the right side. At the center, we zoomed on the rectangle pointed out in both images. It is possible to observe three kind of peculiarities: absence or reduction of pores (recently exploited in Marcialis et al., 2010), alteration of pores width, general smoothing of several details, presence of artifacts (the scratch at the center is present only in the fake fingerprint). Such differences are mainly due to the stamp fabrication process of fake fingers which causes an alteration of the frequency details between ridges and valleys. But state-of-the-art vitality-based features have not been conceived to detect and exploit such differences for liveness detection purposes. An example of live and fake fingerprint images (left and right side, respectively) corresponding to the same subject. At the center, we zoomed on the rectangle pointed out in both images, in order to point out differences mainly due to the fabrication process of the fake fingerprint. On the basis of the considerations, we believe it is useful to investigate if fingerprint replica may have some peculiarities which allow discriminating them from live fingerprints. Moreover, we hypothesise that fake-based and vitality-based features may have a certain degree of complementarity for liveness detection purposes. With the term “complementarity,” we mean that certain samples can be better classified by vitality-based features, and other samples by fake-based ones.